Get your skin the best pampering it deserves by shopping for quality-tested lotion from your favourite brands such as Avon, Nivea, Dove, Aveeno, and Garnier. Keeping our skin nourished and rehydrated gives us that healthy glow from within; thus, helping us look our best as well. We bring you the cheapest price on lotion and the best deals you can find as well so you can enjoy amazing savings. Look for special offers from B&M, Superdrug, Wilko, Tj Hughes, allbeauty, Boots and Fragrance Direct. With a voucher code, you can get as much as 40% off your total purchase amount. The skin is basically the largest organ in a human body and it helps protect the body from various kinds of bad stuff. People should take care of their skin and there are many ways to do it. If you want to have soft and clear skin, you should use an effective moisturising lotion. Licensed Dermatologists and physicians suggest that you use lotions that have a high skin protection formula. The heat from the sun and pollutants in the air makes the skin dry and this can damage it. Using a lotion that has a high SPF will protect your skin from harmful UV light. Using these kinds of products might even prevent skin cancer, rashes and other skin irritations. Lotions are formulated by different manufacturers and although they were made for the same purpose and that is to care for your skin, they still have different ingredients. It is highly advised that you buy a lotion that does not have any harsh ingredients. Lotions that have natural ingredients are more preferable than those chemical-based products. Use a moisturising lotion every day to protect your skin from harsh elements. Where can I Find Cheap Lotion Deals in the UK? If you’re looking for the best cheap lotion online then you came to the right place. Here at Latest Deals, you can get the latest cheap lotion UK discounts and voucher codes that you can use to save money on your purchases. Our community of bargain hunters regularly post and share verified the best body lotion offers, discount codes and voucher codes online. You will surely get great value for your money deals. Use voucher codes to save money on your purchases from top brands and favourite retailers such as Avon, Amazon, Superdrug, Allbeauty, and more. Amazon. You can find affordable quality lotions under £5 at Amazon. If you’re overwhelmed by their hundreds of selection, just browse through their best-sellers to narrow down your choices. You can also get exclusive discounts and free delivery if you’re an Amazon Prime member. Superdrug. The retailer always has special offers on lotion and body care products like save 1/3, better then half the price or buy 1 get 2nd item for half the price on selected brands such as Cetaphil, Palmer’s and Nivea. Boots. Get the best smelling body lotion UK and take advantage of Boots’ perfume body lotion sale. You can also get plenty of savings from Boots lotion special offers such as 3 for 2 on a wide range of lotions, half the price on selected Garnier lotion and save 1/3 on select brands. 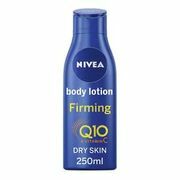 They also have amazing offers on select Nivea body care products. Re-hydrate dry skin. People who live in harsh climates often have dry and chapped skin. 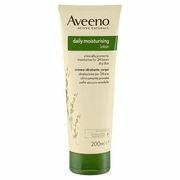 A moisturising lotion will help keep your skin rehydrated most especially in the hot summer days. Replenish extra dry or rough spots on the skin. Using a moisturising lotion is essential even in if you have normal skin. People have rough areas in some parts of their body including the knees and elbows. Putting lotion to that portion every day will help smoothen those rough spots. Smooth calluses. People develop calluses on their hands and feet and it can be very unsightly. Most people feel uncomfortable having these calluses. By using a moisturising lotion, you can soften those callus to remove them easier. It can also help remove other dead skin cells. Feel and smell good. Lotions have a pleasant scent and putting it all over your body will give you a relaxing sensation. You will definitely smell good and feel good all over. Find the lotion that suits your needs and scent preference. Help yourself relax. A lotion can also be used for body massages. There are even lotions that have heating agents which add warmth to your body once applied to your skin. Soften the roughest parts of your body. We all have dead skin and lotions can help remove these rough dead skin making it softer. Use it after taking a bath to feel great smell wonderful. Make your skin glow. 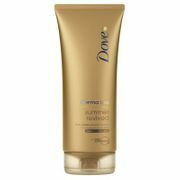 Lotions can add shimmer and glimmer to a person’s skin tone. Applying lotion to your skin will also remove blemishes and lighten it. Continuous use will make your skin glow and look healthier. Vaseline Essential Healing Intensive Care Spray Moisturizer – It can be applied easily because of the spray-on. You can put it anytime you want. “WE THE BEST GLOW” Cocoa Butter Formula – your skin will not feel sticky when you use this lotion. It also has an aromatic cocoa butter scent. Jergens Oil-Infused Moisturizer with Nourishing Monoi Oil – Helps your body keep moisturized even in the winter cold. It keeps the skin smooth, sleek, and soft in harsh climates. AmLactin Moisturizing Body Lotion - It has alpha hydroxy acids and softening glycerin which is effective in removing dead skin cells. It also provides deep moisturizing effects. Eucerin Intensive Repair Lotion – It is thick and rich yet it does not leave a greasy feeling. Use it in the morning and it will keep your skin hydrated all day long.